If you’ve ever gone to check your trail cameras in the field only to find an empty SD card (or one full of useless images), then you know the definition of frustration. After all, you bought your game camera to help you accomplish a task. It had one job to do.The time that it sat on your property is now wasted, and you are no more informed about the movement of game animals on the property now than you were before. Honestly though, there are really only so many things that can be wrong. So go through this quick checklist of problems before you go out to set up your trail cam, and all should be well when it’s time to check the images. It is far more common for a trail camera to take unusable images than to not work at all. We’ll get into fixing those creepy ghost images in a bit, but first let’s make sure everything is working okay. When a game cam doesn’t work at all, the problem is most often related to the SD card, so let’s start there. Digital image storage, like all other aspects of digital technology, is constantly improving. SanDisk unleashed the first one-giga byte SD card on the market way back in 2004, using a then-unique process of stacking files on the disk to keep its physical size the same. Storage capacities continue to grow, from a maximum of 512GB in 2014 to as much as two tera bytes as of this writing. The important thing to understand is that not all SD cards are compatible with all cameras or card readers. All SD cards with capacities under 2GB use the FAT16 format.From 4GB to 32GB (SDHC cards), the FAT32 format is standard, and the ex FAT format is used from 64GB to 2TB (SDXC cards). Cards using these formats are not backward compatible with devices from previous generations. So, a device that specifies SDHC cards be used will not record on an SDXC card, though a device that specifies SDXC cards should be able to use SDHC cards. For best results and to remove uncertainty, use only the type of SD card your trail camera specifies. Like any other digital storage device, SD cards only have so much space available. When the card has reached its limit, it can no longer record new information. Many trail cameras have a feature that allows them to continue taking pictures even when the SD card is full. 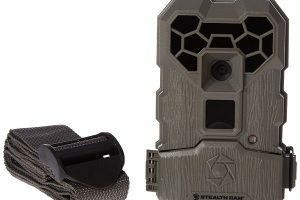 These cameras will start over at the earliest recorded images and begin recording over them you’re your trail camera does not have this function, you will have to make space. If a full SD card becomes a recurrent problem, there may be something else that you can do about it. Some trail cameras allow users to select between different levels of image quality. Selecting a lower resolution will mean that each image takes up less space on the SD card, effectively increasing the amount of images they can store. The resulting pictures may not make it in a nature magazine, but they should still be quite usable. It is always a good idea to format a new SD card before installing it. Formatting clears any images or other data from the card and sets up a new files system that the camera will use to organize and safely store new images. It is also the only sure way to delete the images from the card and make room for new images, although it is not always 100 percent effective. The images or fragments of the data may remain on the card. Format the SD card using the type of computer onto which you intend to transfer or store your images. Mac users should format using a Mac, and PC users should use only a PC. There is no need to repeatedly format an SDcard unless the files have become corrupted in some way. That said, if you’re having trouble storing new images on an older card, reformatting the SD card is a simple step you can try. There is no frustration quite like the sensation you feel when, after trekking out to check your game camera, you discover it is dead as a door nail. Those missed images are just not coming back. If you’re lucky, the camera will have only recently died, and the SD card will have plenty of recent images. But if those images are older than a week or two, they may not tell you anything about the movement of game through your property. Luckily, there are several things you can do about this issue. The first thing to do is to make the change from alkaline batteries to lithium batteries. Lithium batteries last considerably longer than alkaline. When changing batteries, be sure that there is no corrosion presenting the battery bay from a previously malfunctioning battery, and clean the(white, powdery) corrosion out if present. There are also external batteries and solar panels available that you can use to either eliminate or supplement onboard batteries. The settings on any given trail camera can be complex and confusing, even for people who have used trail cameras for years. If you’ve gone through and adjusted any settings, only to find that your camera won’t take pictures or takes only blurry, useless pictures, it’s best to start from scratch. Most manufacturers include a simple method for returning their game cameras to the factory default settings. Start there and see if it makes a difference. Some cameras also allow users to adjust the detection zone,which is the triangular area emanating from the trail cam’s motion sensor. Try to match this zone to the topography. Also, ensure that the camera is in the mode required for it to trigger on motion detection. Sometimes when a trail camera fails to take pictures, the culprit is simply that the camera is in one several other modes available. If the SD card is properly functioning and battery power or settings are not the issue, there may be a problem with the triggering mechanism. If the issue is mechanical, there may be nothing you can do other than contacting the manufacturer for a warranty concern. But before you take that step, consider the possibility that the air temperature may be interfering with the senor’s ability to detect motion. Trail cameras utilize infrared and motion to instigate a trigger. The sensors in trail cams detect the difference between the body heat of a target and the surrounding air or foliage. When temperatures drop, the difference between the body heat of a deer and the cold air is greater, increasing the chance that the sensor will detect the target and trigger a picture. The warmer it gets the less likely it is that the sensor will detect movement. Some trail cameras have a sensitivity setting, which can be made more sensitive when temperatures rise. If the problem isn’t that the camera is not taking pictures,but rather that the pictures it does take are useless, there may be a couple of things you can do about it. Users often complain that their trail cameras take fuzzy photos, when it is actually glare from the sun that is causing the problem. Sometimes, the heat and glare from direct sunlight can even interfere with the camera’s detection sensor, leading to missed pictures. If these issues sound familiar or seem likely, examine the area that you chose to place your camera. When possible, choose a shaded area with lots of trees around to cast constant shadows on the trail cam. Also consider the cardinal direction that business end of the camera is facing. Try never to face a trail camera so that it is facing east or west. Position your trail cam so that it faces north or south instead to avoid the sun’s glare. Placing a trail camera high above the ground is an excellent way to prevent theft, but it can lead to its own set of issues. Cameras placed10 feet above the ground must be angled downward precisely to ensure passing animals can still trigger the detection circuit. The surest way to increase the likelihood of a detection is to place the camera at eye level. If theft is a concern, consider using a lock box or a Python locking cable. Another positioning issue that sometimes arises when users place their cameras too far away from a game trail. Never trust a manufacturer’s claims of detection distance, and try not confuse that number with the camera’s flash distance. If a manufacturer claims a 70-foot detection zone, for example, it’s best to reduce that down to no more than 50 feet.Sometimes too the detection angle may be a bit wider than the image angle. Placing the camera in places where vegetation funnels game movement through a central point can defeat that problem. If your camera is giving you lots of pretty pictures of the scenery on your land, but comparatively few pictures of animals, it’s time to take a closer look at the area. Make sure the tree you mounted the camera on is stout enough that it doesn’t simply sway in gentle breezes. Pointing a trail camera at an area with lots of loose, dangling vegetation can likewise cause false triggers. If you are still getting empty images but are pretty certain it isn’t a foliage problem, look further into the distance. Is there a clearing or an alley through the vegetation? If so, what’s out there? Many things in the distance can cause these types of problems, from the sun glinting off a distant pond to foot or vehicle traffic on a distant path or road. The very first things you should suspect if your trail camera does not seem to be working properly are battery issues or a problem with the SD card. It’s always best to discover these types of issues at home, before you go through the trouble of installing the camera in the field. Start out with a brand-new, freshly formatted SD card that matches the manufacturer’s specification, and do the same thing with batteries. Don’t assume that what worked for your old trail camera (or your buddy’s trail cam) will necessarily work this time.